I just loovveee EVOO (extra virgin olive oil). Why? because there are many beauty and health benefits of extra virgin olive oil that will help you look great! It is so versatile it can be used internally or externally. 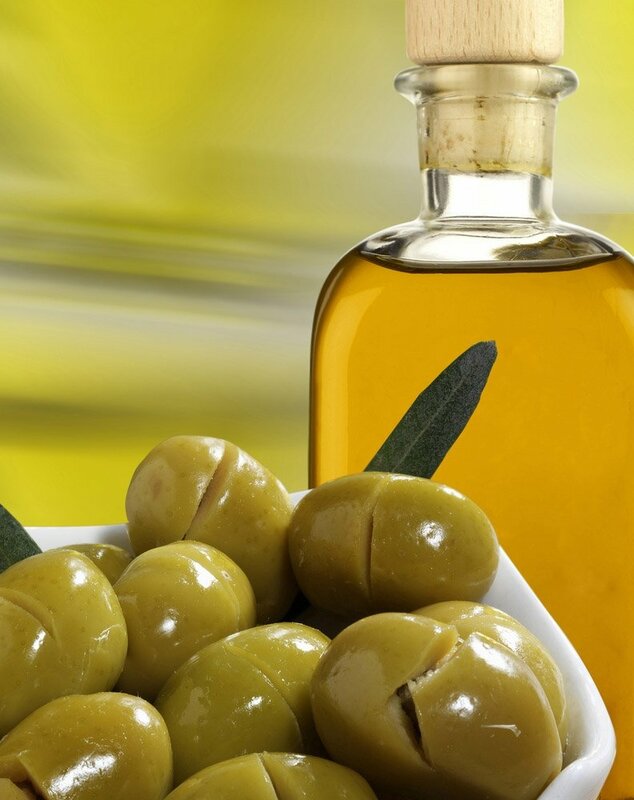 Taken internally, olive oil promotes better digestion, stimulates metabolism, and lubricates mucous membranes. It can also be applied externally, for dry skin, nails, and hair! Olive oil contains 77% monounsaturated fatty acids, 14% saturated fatty acids and 9% polyunsaturated fatty acids, plus vegetable mucilage and Vitamin E. It can help lower your cholesterol levels, stimulate digestion and relieve an upset stomach, flatulence, and heartburn, it has antioxidant benefit, it is an excellent way to moisturize and even used to treat ear infections or earaches! You can say that EVOO is a "miracle" in a bottle... Okay.. Nuff with the talking and get to the point. I'm gonna share with you my main use for EVOO, of course there are other use for this stuff but I'm only gonna share with you what I personally do with it. This is my main use for EVOO, I love to make pasta aglio e olio with it or a cold salad. Hmmm... Yummy... Makes me wanna make one for tonight dinner. When I put a heavy make-up on I usually cleans my face with EVOO and also massage my face to promote skin elasticity. What I do is I put some of the oil on my finger and kinda dab it in several spots on my face and starts to massage my face in a circular motion. After I'm done I wipe the oil with cotton and continue with cleansing milk. EVOO is a great use for exfoliate your skin without irritating it. What I do is I put the EVOO first on my face (a quite generous amount but not too much) and add about a table spoon of refined sugar or baking soda to my palm and start exfoliate my skin. My other recipe for this exfoliator is I add 1 ablespoon of EVOO, 1 tablespoon of honey, and 1 tablespoon of sugar and mix it in a bowl and exfoliate my face with this mixture. EVOO is also great for facial mask, I like to add a few drops of it to my homemade facial mask mixture. You can see my mask here and here. Yeah... I know.. Oil?? For Shaving?? Really?? That's what I thought when I heard it. But after I did it, I was amaze. By shaving with EVOO I don't have razor burn, I dont have that itchiness after shaving, my legs feel smooth and it actually prevent the hair to grow back faster! So what I do is I lather my legs with EVOO and starts to shave, but beware though because it is messy!! You also can't use your razor again because it's soo oily. - I heat the oil first (not too hot) and put it in my scalp while massaging it and leave it for 10-15 minutes and rinse my hair. - I put the oil directly to my scalp and steam my hair for 15-20 minutes. - I put the oil directly to my scalp, massage it, and leave it overnight. Put a bit of EVOO to your lips to prevent chapped lips and if you use it regularly your lips will have a nice pink shade. I don't use it regularly because my lips is allergic to it, I just put it in the morning after bed and in the evening before bed to moisturize my lips. EVOO can be use as a leave-in conditioner, just put a few drops on your palm, rub gently, and run your finger through your hair. I use it only at the end of my hair (dry not wet) and use the leftover oil to moisturize my hand. Do you use EVOO too?